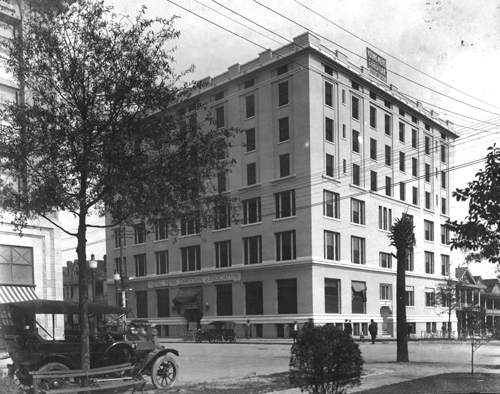 The building was Florida’s first large reinforced-concrete frame structure and an engineering feat for the times. 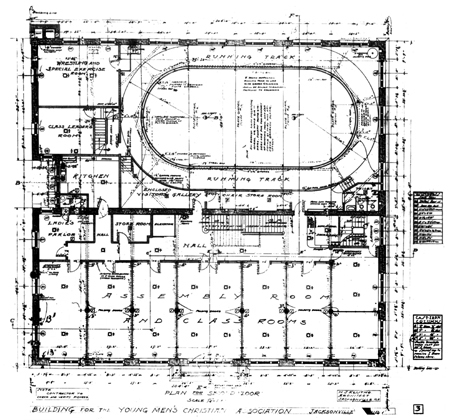 It featured an indoor running track suspended over the gymnasium by cantilevered concrete beams. A forty-eight-foot free span above the track and gym was created by six-foot-thick concrete girders that supported four more stories overhead. A swimming pool was located in the basement. 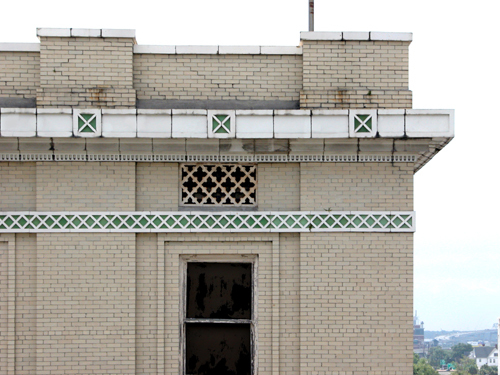 A roof garden on the top of the building was surrounded by parapet projecting 4 feet above the cornice to provide a protective rail. supported by 10-foot-long cantilevered concrete beams. 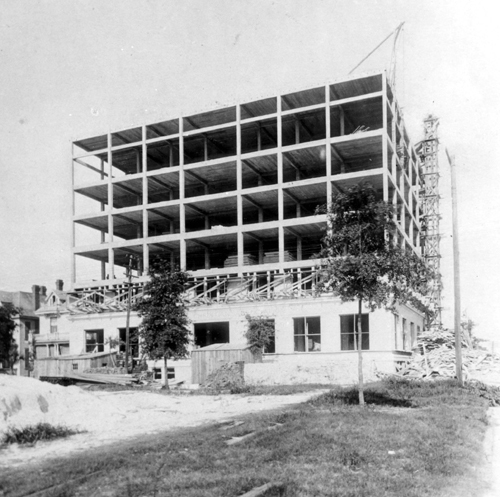 Construction of the reinforced concrete frame was by the Southern Ferro Concrete Company based in Atlanta. Southern Ferro was founded by two Frenchmen near the turn of the century, one of whom, a Mr. Berne, was trained by Francois Hennebique, who invented the technique of construction with reinforced concrete patented in 1892 for buildings in France and Switzerland. Southern Ferro Concrete was incorporated in 1905 by Mr. Charles Loridans, who bought out Berne and his partner. In 1929 the Y.M.C.A. shared in the nation's financial calamity; unable to meet mortgage, the building was sold and unsympathetically remodeled for use as retail space. 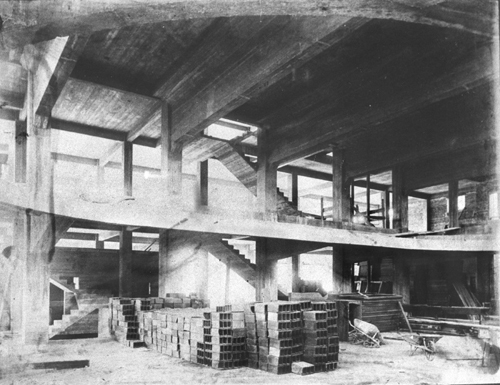 Although the YMCA Building only tentatively addressed itself to the Prairie School movement, it was a definite step in that direction and certainly a leap forward in fireproof reinforced-concrete structural design. It is now owned by the City of Jacksonville and is awaiting restoration for use as office space. Color photo by Wayne W. Wood. • Wood, Wayne W.: Jacksonville's Architectural Heritage: Landmarks for the Future. Gainesville, Florida: University Press of Florida, 1996, p.72.